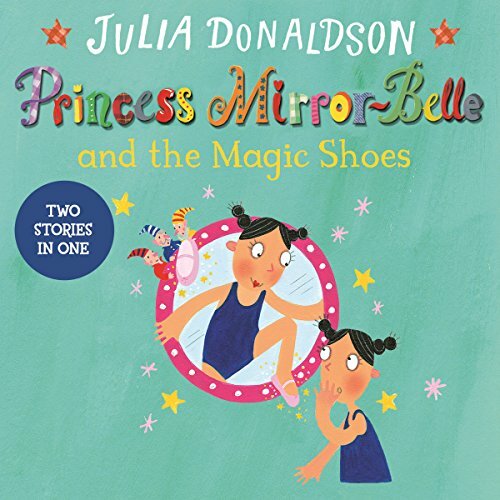 From the best-selling author of The Gruffalo, Julia Donaldson, comes Princess Mirror-Belle, the exciting adventures of a princess with a difference. Princess Mirror-Belle is perfect for fans of this best-selling team who are beginning to listen on their own. Ellen gets a big shock when her double appears out of the bathroom mirror. But Mirror-Belle is a double with a difference! She is a princess, and a very mischievous one at that. 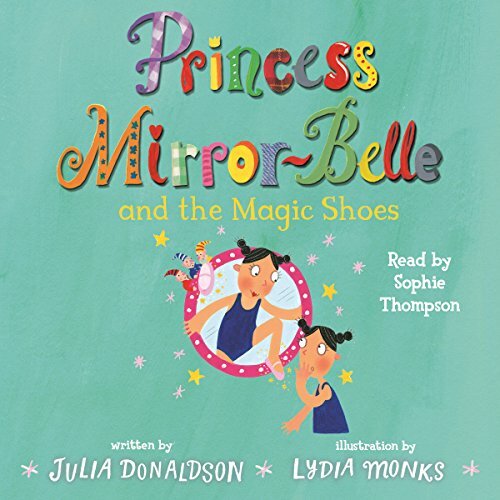 Join magically mischievous Mirror-Belle as she comes popping out of Ellen's mirror to sweep her into a variety of hilarious escapades - from battling with Dragon Pox to exploring a department store and helping out with the local pantomine. You can always guarantee that wherever Mirror-Belle goes, trouble will follow. 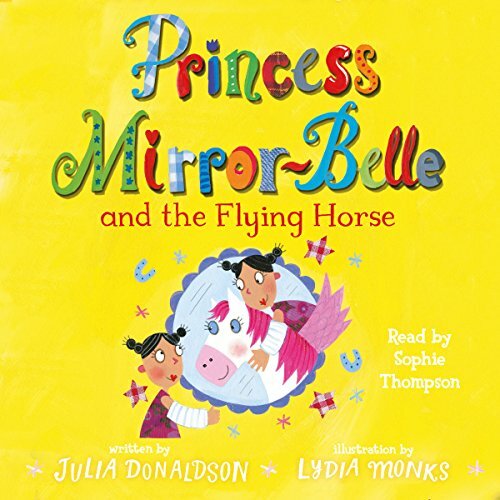 From the much-loved author of The Gruffalo, Julia Donaldson, Princess Mirror-Belle is perfect for more confident listeners. 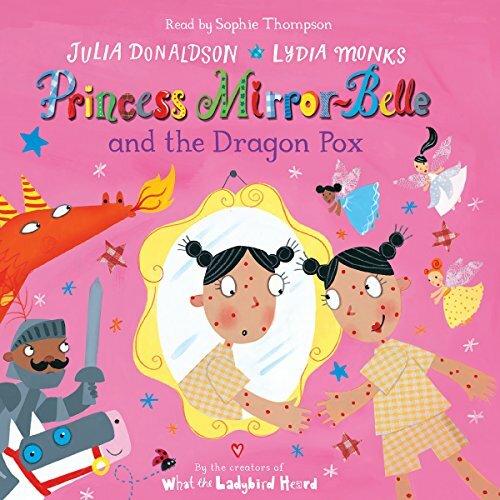 ©2015 Julia Donaldson (P)2015 Pan Macmillan Publishers Ltd.
From the best-selling author of The Gruffalo, Julia Donaldson, comes Princess Mirror-Belle, the exciting adventures of a princess with a difference. 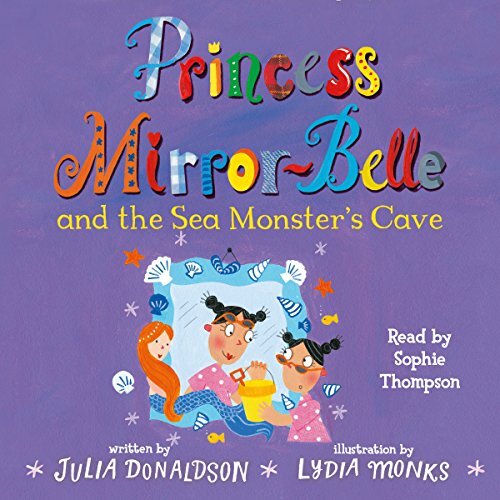 Princess Mirror-Belle is perfect for fans of this best-selling team who are beginning to listen on their own. Ellen gets a big shock when her double appears out of the bathroom mirror. Ellen's life is turned upside down by the hilarious Mirror-Belle, a spirited princess who claims to be from somewhere mysterious and far away. She appears out of mirrors to tell Ellen magical stories and take her on exciting escapades. From battling with Dragon Pox to helping out with the local pantomime, celebrating birthdays, having fun at the fair and starting at a new school, there are always adventures to be had. 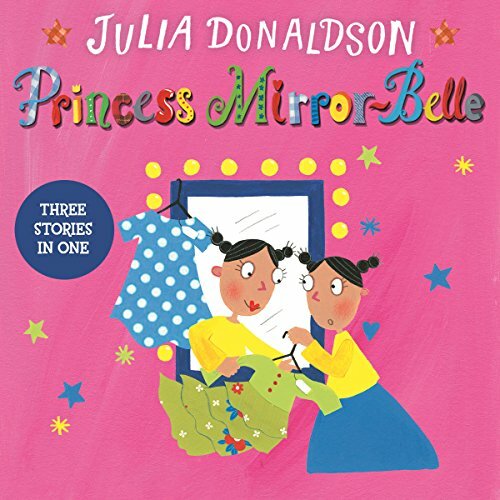 From the best-selling author of The Gruffalo, Julia Donaldson, comes Princess Mirror-Belle, the exciting adventures of a princess with a difference. Ellen gets a big shock when her double appears out of the bathroom mirror. But Mirror-Belle is a double with a difference! She is a princess and a very mischievous one at that. Join magically mischievous Mirror-Belle as she comes popping out of Ellen's mirror to sweep her into a variety of hilarious escapades. Ellen's life is turned upside down by the hilarious Mirror-Belle, a spirited princess who claims to be from somewhere mysterious and far away. She appears out of mirrors to tell Ellen magical stories and take her on exciting escapades. 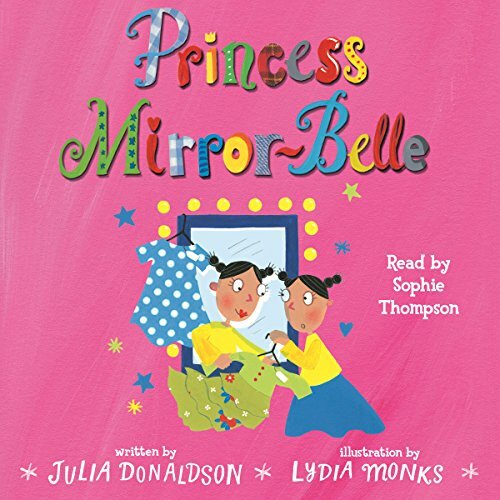 From going to ballet class to staying at Ellen's grandparents' house, causing mischief with their furry friends, having fun at Halloween and taking the princess test, you can always guarantee that wherever Mirror-Belle goes, trouble will follow. Ellen gets a big shock when her double appears out of the bathroom mirror. But Mirror-Belle is a double with a difference! She is a princess, and a very mischievous one at that. Join magically mischievous Mirror-Belle as she comes popping out of Ellen's mirror to sweep her into a variety of hilarious escapades - from exploring a hospital after Ellen falls off her bike to chasing after Mirror-Belle's Magic Ball. You can always guarantee that wherever Mirror-Belle goes, trouble will follow. Ellen's life is turned upside down by the hilarious Mirror-Belle, a spirited princess who claims to be from somewhere mysterious and far away. She appears out of mirrors to tell Ellen magical stories and take her on exciting escapades. 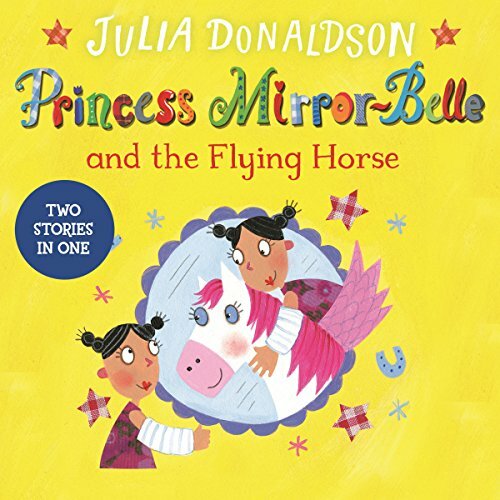 From exploring a hospital after Ellen falls off her bike to chasing after Mirror-Belle's magic ball, going to the seaside and joining the unusual pets club, you can always guarantee that wherever Mirror-Belle goes, trouble will follow. Imagine Ellen's surprise when Princess Mirror-Belle climbs out of the bathroom mirror! She comes from a world where bubble fish swim in the bath, elves sleep in slippers, and brave knights fight fire-breathing dragons. And while Ellen has chicken pox, Mirror-Belle has dragon pox, but she knows just the cure. The bath is soon overflowing with bubbles and goo...but will it get rid of their spots? 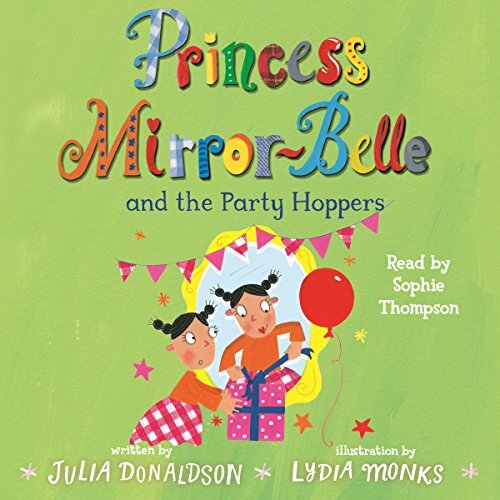 From the best-selling team behind What the Ladybird Heard, Julia Donaldson and Lydia Monks, Princess Mirror-Belle and the Party Hoppers is a delightful adventure perfect for independent listeners. Ellen gets a big shock when her double appears out of the bathroom mirror. But Mirror-Belle is a double with a difference! She is a princess, and a very mischievous one at that. Ellen gets a big shock when her double appears out of the bathroom mirror. But Mirror-Belle is a double with a difference! She is a princess, and a very mischievous one at that. 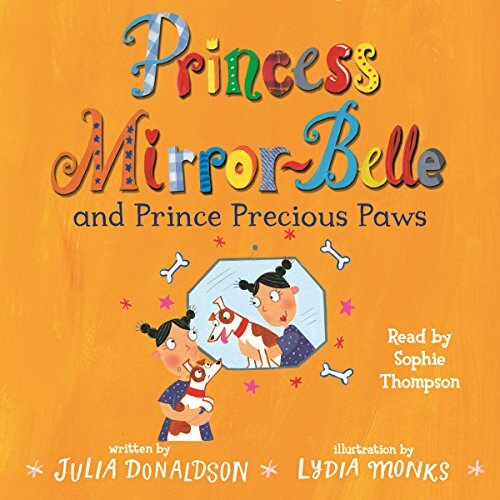 Join magically mischievous Mirror-Belle as she comes popping out of Ellen's mirror to sweep her into a variety of hilarious escapades - from Mirror-Belle muscling in on Ellen's seaside holiday to the return of Prince Precious Paws. You can always guarantee that wherever Mirror-Belle goes, trouble will follow. 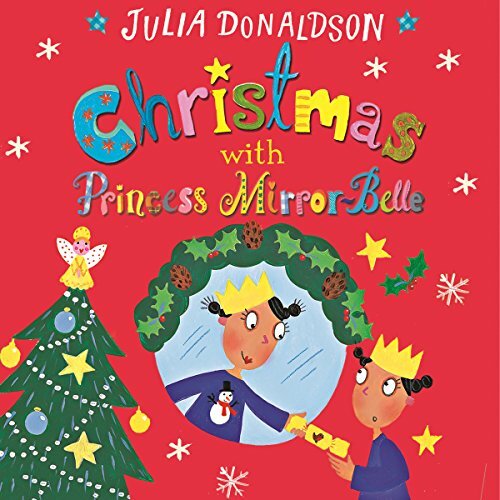 Christmas with Princess Mirror-Belle features two festive stories from Julia Donaldson. Ellen gets a big shock when her reflection climbs out of a mirror. But Mirror-Belle is a double with a difference! She is a princess, and a very mischievous one at that. Join Mirror-Belle as she sweeps Ellen into hilarious Christmassy escapades - from joining in with the Christmas ballet show to attending Ellen's friend's fancy-dress party and trying to catch Father Christmas!